You tell your people to perform and you expect results. When expected outcomes aren’t achieved, you tell your people to work harder, work smarter. When encouragement and ultimatums don’t work, what then? The Practical Management System™ is your solution to effective communication that produces desired results. 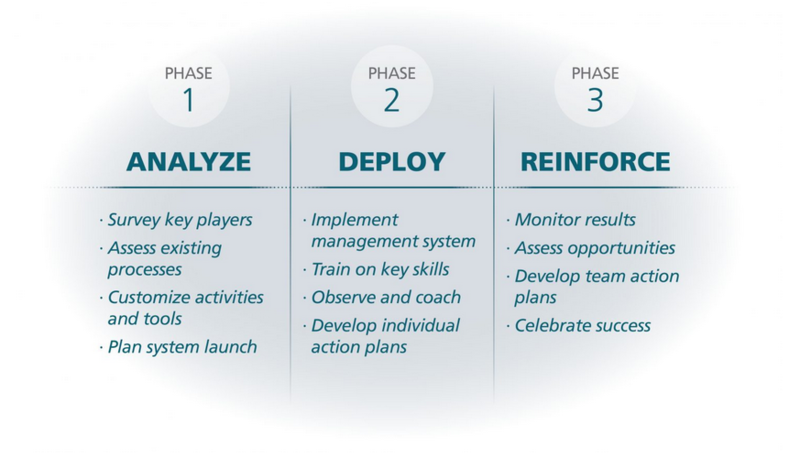 The system is implemented in three phases. Each phase involves active partnering between your team and a Practical Management consulting team. As a result of system implementation, you will have a culture in which effective management is systemic and high performance the norm.